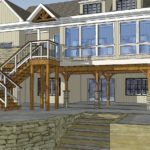 Anthony H. Visco, Jr. Architects was tasked with making this stately residence summer wedding-ready. 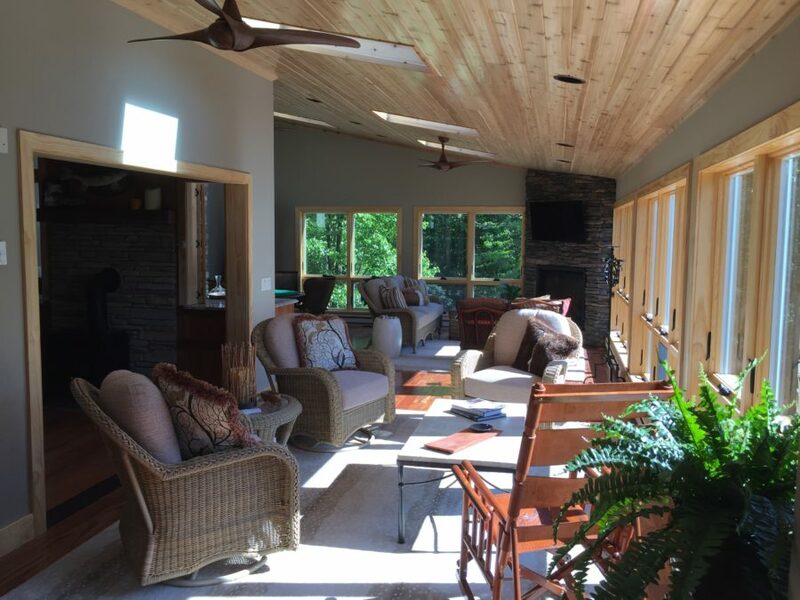 Situated in the mountains of Eagles Mere, Pennsylvania, the existing home was surrounded by spectacular views that the owners wanted guests to take full advantage of. 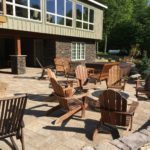 While envisioning an outdoor space that could handle a large party, they also hoped for spaces that would scale down to private outdoor retreats. 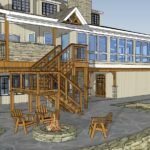 3D renderings provided by AHVA provided the client with an idea of what the final addition would look like. 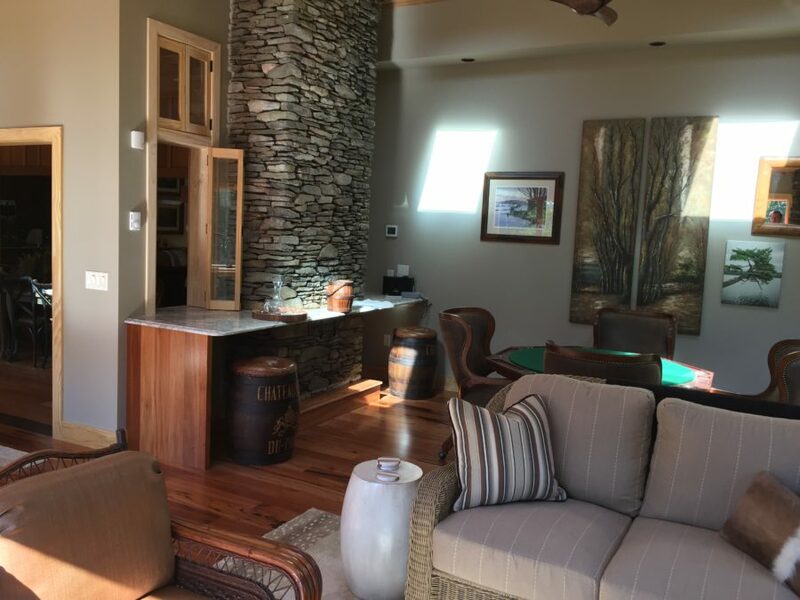 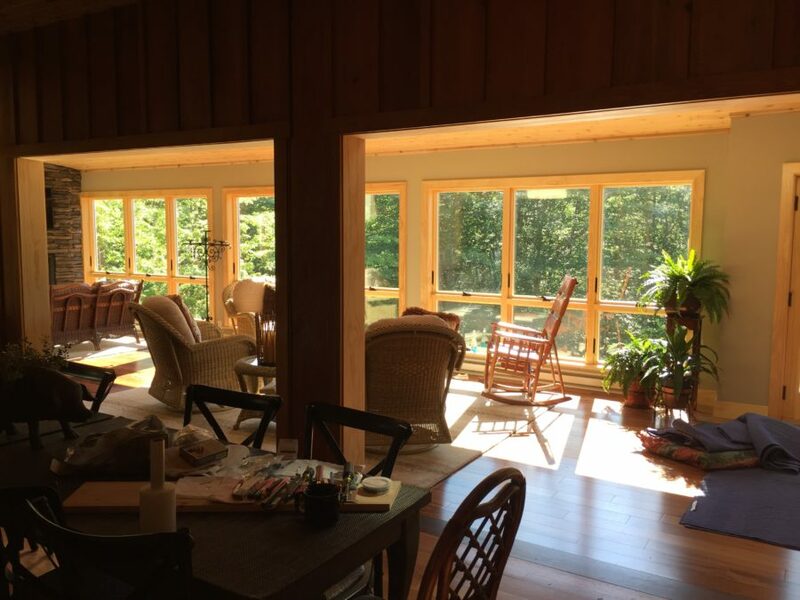 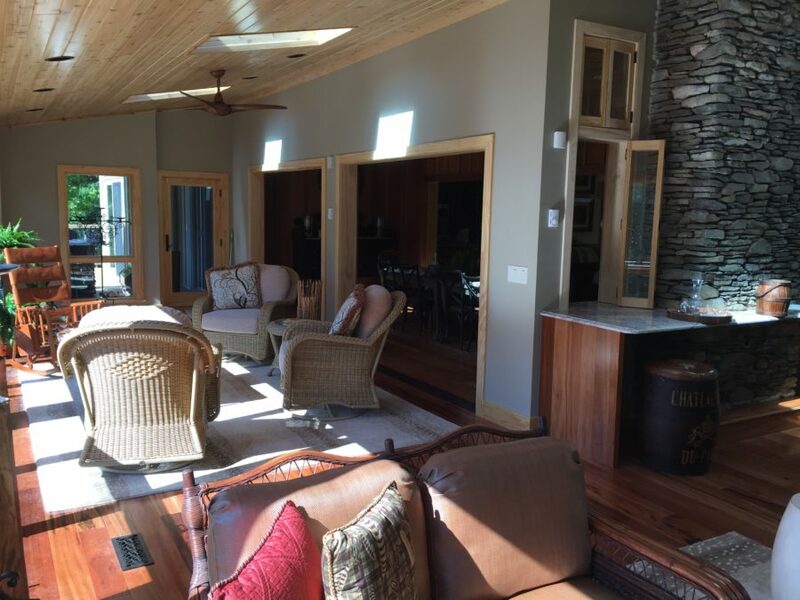 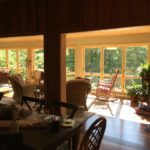 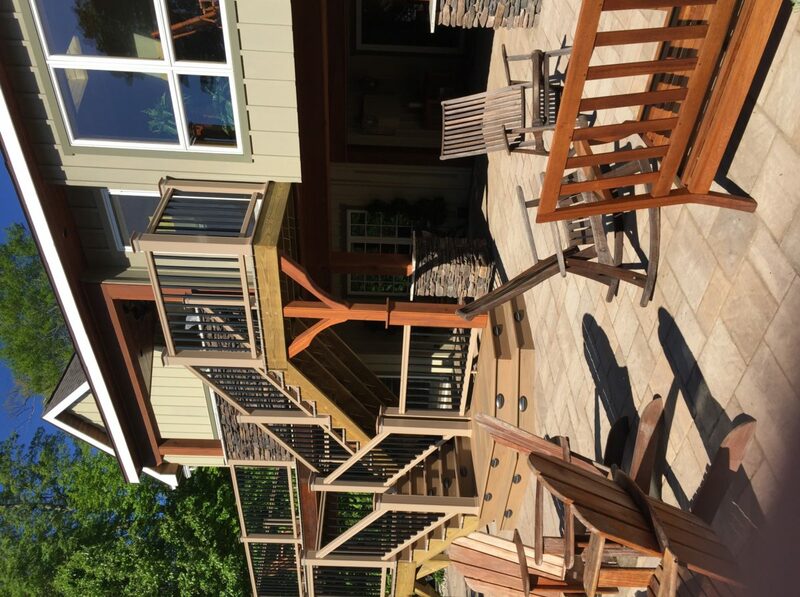 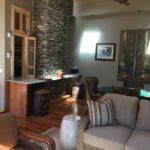 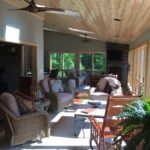 A portion of the existing deck was enclosed to create a sunroom located off the existing dining room, complete with skylights, ceiling fans, copious windows, and a gas fireplace. 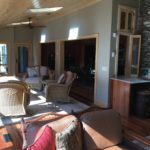 columns beneath the deck were wrapped with stone and a fire ring and porch swing added to create a shady patio tucked beneath the deck. 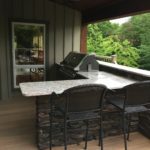 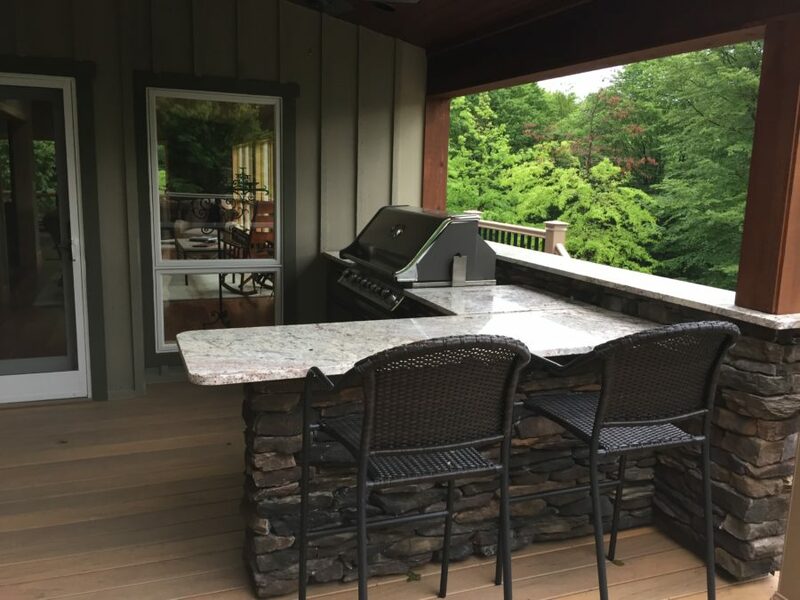 An outdoor kitchen with a pergola and bar seating was added just outside the existing kitchen sliding doors. 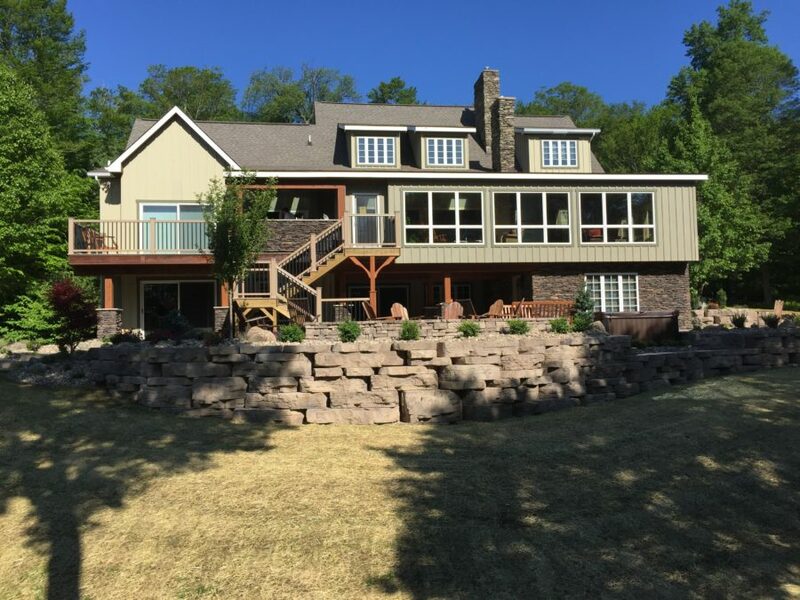 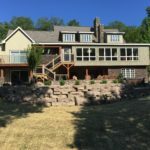 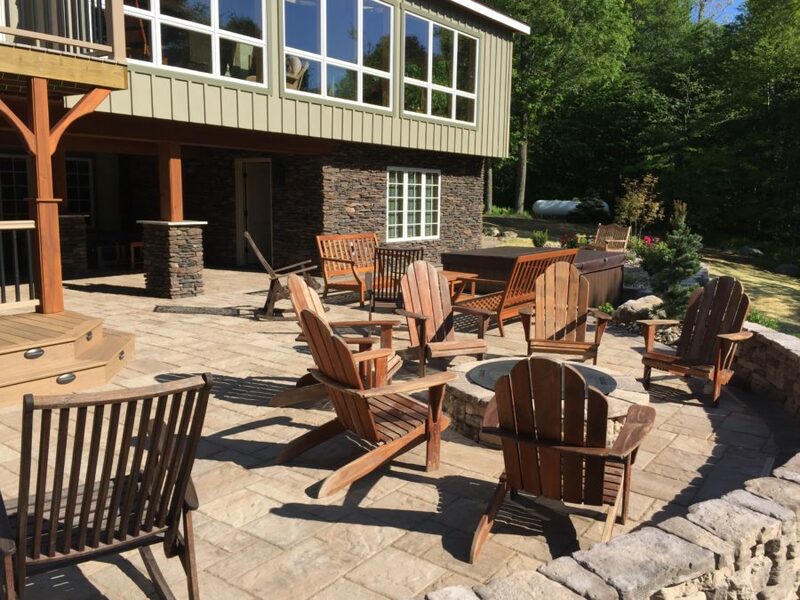 New landscaping and stone steps completed the fresh atmosphere, making this property one-of-a-kind.